We thought it was about time to have another little giveaway on Twitter! 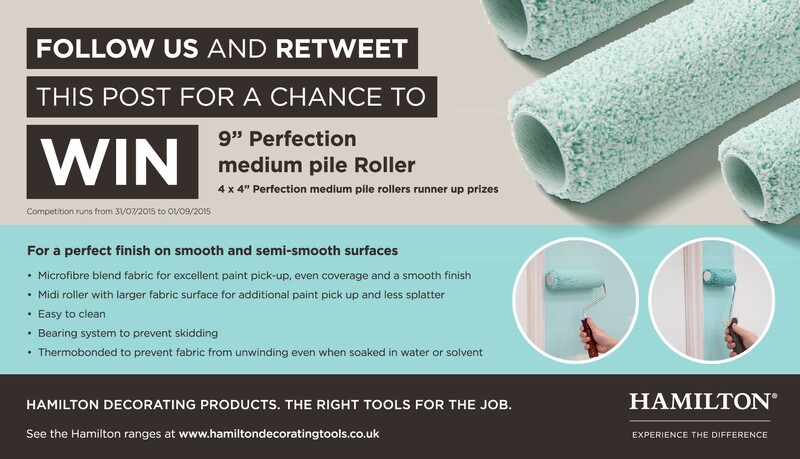 We'll be giving away a 9" Perfection medium pile roller, with 4 x 4" Perfection medium pile rollers for the runners up. Just visit us @Hamilton_Decor on Twitter, follow us and retweet the giveaway post. How easy is that?! The winners will be drawn after the closing date on 1st September 2015 and will be contacted directly. Head over to Twitter now to be in with the chance of winning!